How To Use Ad Blockers to Stop Ads from Displaying in Your Web Browser? In this video you would be learning how to block annoying advertisements and pop ups on the web page. All you need to do is download and install a plugin which automatically blocks advertisements from displaying on the website. 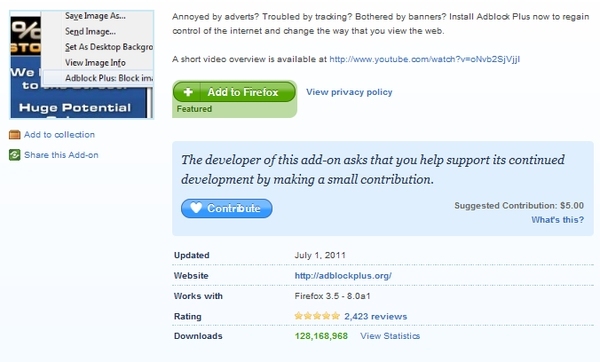 Click on the “Add to Firefox” button and allow the browser to run the application. The browser would automatically download the application and install the plugin. Once installed, you would be required to restart the browser. Once the browser restarts you can see that all the advertisements on the web page would be automatically removed.